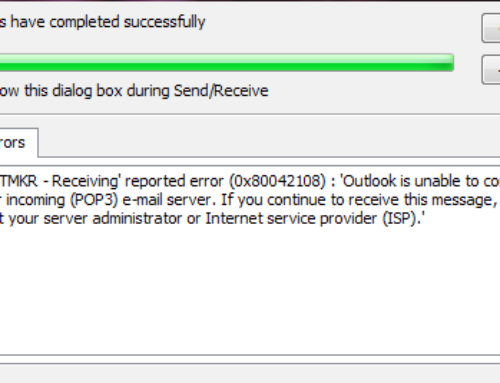 Outlook Error 0x800CCC05 – Not connected to the server – The error can be triggered when your computer is not connected to the Internet. Of course, apart from it, there are multiple other reasons. 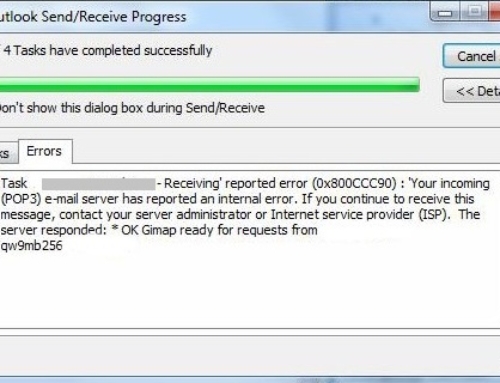 The followings are relevant causes and effective solutions to “Not connected to the server” error. 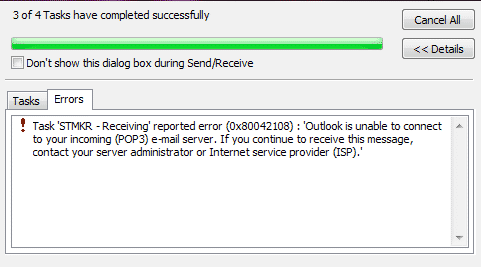 Outlook Error. As a rule, this error tends to show up if your computer isn’t connected to the valid Internet. Thus you should check the network connectivity in the first place. Open your Internet Browser, and type any website URL in the address bar. Press Enter key. If the website opens normally, this error is caused by other factors. 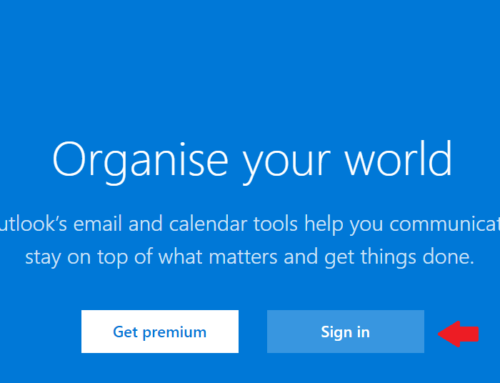 Another common reason is that windows firewall doesn’t allow Outlook to access the Internet. So you should turn off the firewall. 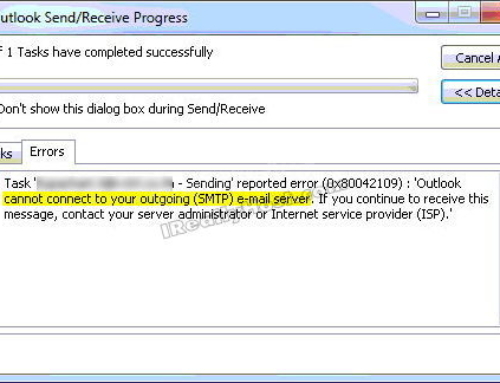 The method will expose Outlook to network attacks. But in order to exclude this reason, you ought to have a try. 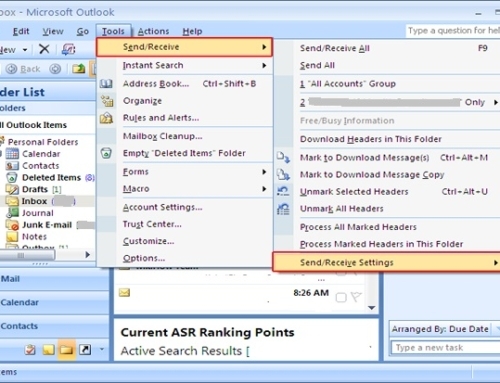 Close Outlook and go to “Control Panel”, in which click on “Network and Internet” option. Next, in the bottom left corner, locate and click “Windows Firewall”. And on the following page, click on “turn Windows Firewall on or off” link. 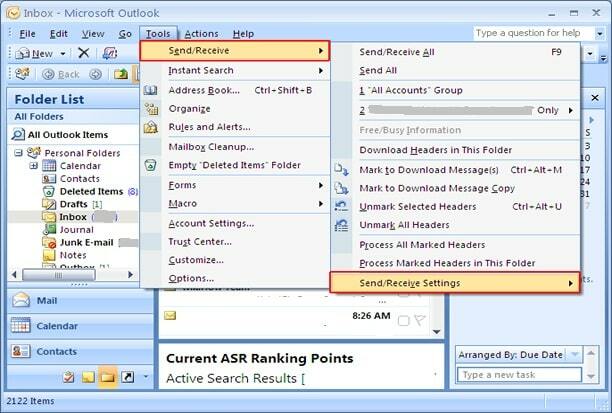 Eventually, you should restart Outlook and re-add the incoming and outgoing server name in Outlook “Account Settings”. After completing the above steps, you should verify if the problem is solved or not. 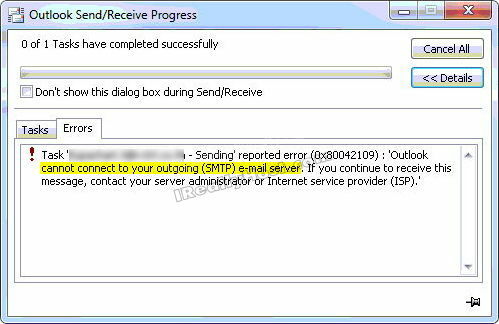 If the error persists, you should turn on the firewall immediately to protect Outlook from being attacked by viruses or spyware. 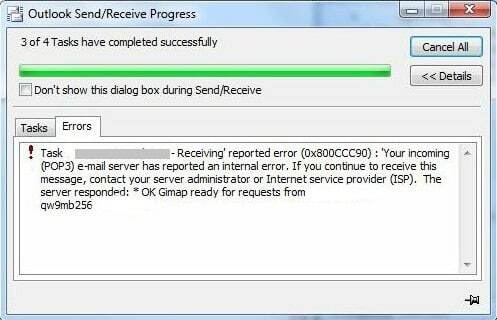 Besides, the faulty send/receive settings in an IMAP email account can trigger the issue as well. Perform the operations below. Go to File > Options > Advanced option. In the popup dialog, click Edit button. In addition, at the bottom, you should choose the Inbox folder only. Finally, click a series of OK to save the changes. When finishing, try to send emails again. Supposing that all the methods above can fix this error, there are great chances that one of the existing add-ins is the criminal. Thus you should probe for this reason. Then go to File > Options > Add-ins > Go. 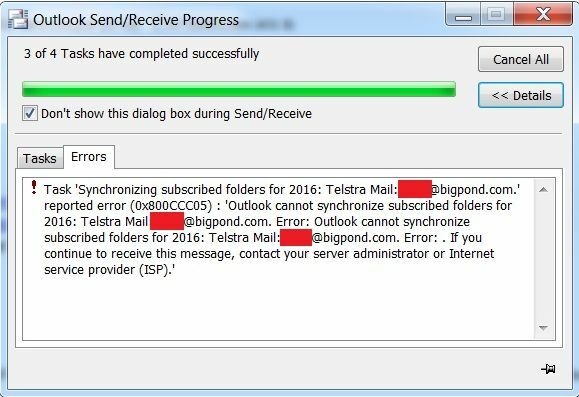 Hope you like the Article related to “Outlook Error 0x800CCC05“!